This is a concise and insightful piece of popular music scholarship, analyzing the creative processes behind some very familiar hit singles from the 1960s. "Hits and Misses" examines a selection of songs and recordings through the lens of textual criticism and delineates the creative process as it unfolds from the initial conception of a song to the final mix presented on disc. The book takes as its subject top 40 singles released between 1963 and 1971 in the USA, Britain, and Canada, and considers the songs themselves and their transformation in the studio. Robert Toft studies the methods by which recordists (songwriters, arrangers, band members, producers, and engineers) impart their ideas to audiences. The first part of the book concentrates on songs and examines lyrics and the strategies songwriters employ to develop a story, as well as the music that enhances the telling of those stories. The second part of the book investigates the sonic surface of recordings and considers how recordists fashion musical material into effective musical discourse. 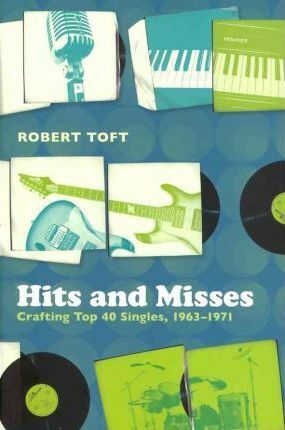 "Hits and Misses" will be an invaluable text for all those who are studying the sound, craft, and context of pop music.